Discover the incredible fictional world of Paul Torday. From romantic comedy to gothic chiller to political thriller and more - read, listen, download and enjoy. This is the story of Dr Alfred Jones, a fisheries scientist - for whom diary-notable events include the acquisition of a new electric toothbrush and getting his article on caddis fly larvae published in 'Trout and Salmon' - who finds himself reluctantly involved in a project to bring salmon fishing to the Highlands of the Yemen - a project that will change his life, and the course of British political history for ever. 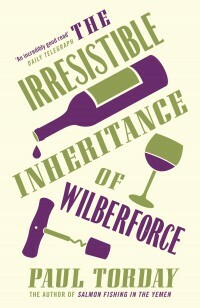 Late one summer evening, Wilberforce - rich, young, work-obsessed and self-contained - makes an unexpected detour on the way home from the software company he owns and unwittingly takes the first step on a journey that will change his life, as he discovers the wine cellars of Cearlyon Hall. 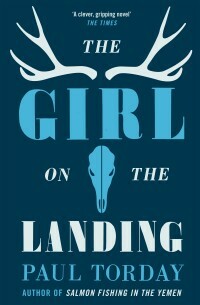 A dazzling, haunting story of obsession and addiction, of loyalty and betrayal. A ghost story, a psychological thriller and a tale of love rediscovered, from the bestselling author of SALMON FISHING IN THE YEMEN. 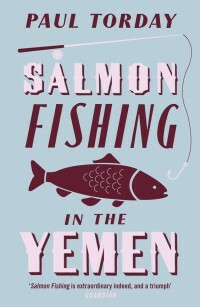 A modern A TALE OF TWO CITIES by the bestselling author of SALMON FISHING IN THE YEMEN. "The money came out of nowhere. In the first years of the first decade of the new century, money flowed around the world as it had never done before. Then, somewhere, someone asked a question. It was: 'Can I have my money back?'" A tale of the unexpected. Former MP Bobby Clarke arrives at a hotel on the Mediterranean shore. He is a former MP, unseated by the expenses scandal, who is now spending time abroad to recover from a major illness and write his memoirs. But it soon becomes clear that all is not as it seems. For a start Bobby seems to have no memory of the immediate past. Each time he sits down to continue his memoirs he finds only a blank page. And what has become of his wife? 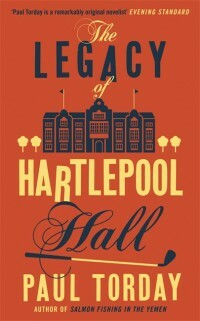 Ed Hartlepool has been living in self-imposed exile for five years, but with a settlement regarding his inheritance looming, he must return to his ancestral seat, Hartlepool Hall. 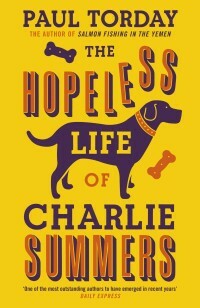 On his return, he discovers that his father has left him, along with the house, a seven million pound tax bill, two massive overdrafts, an 80-year-old butler, and a vast country estate that is creaking at the seams. Not only that, but there is a strange woman in residence - Lady Alice - who seems to have made herself very much at home. But is she really the person she claims to be? A dark tale about a failing politician and the search for two missing children. Norman Stokoe has just been appointed Children's Czar by the new government. He settles down in his new leather chair behind his new desk, to wait for the green light to begin his mission. The green light never comes. What does happen is that two children go missing. As Children's Czar, surely this case should fall within his remit, but Norman has built a career on doing nothing, on stamping pieces of paper with 'send to the relevant department'. Now, faced with a campaigning journalist and a distraught mother, he is forced to become involved. The search will take him to dark places and will make him ask questions about the system he is supposed to uphold. 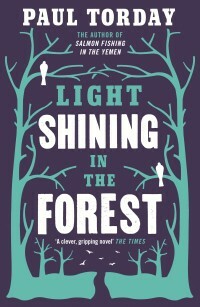 From the bestselling author of Salmon Fishing in the Yemen, a haunting novella that introduces one of the most memorable characters from Torday's novel Light Shining in the Forest. John Elliott is the recently appointed vicar of St Joseph's - a dilapidated church with a congregation of sixteen. Then Theo, a child at his wife Christine's school, starts to exhibit strange marks on his hands and feet that vanish almost as soon as they have appeared. What has produced these marks - and why has the previous vicar of St Joseph's ended up in a psychiatric hospital? 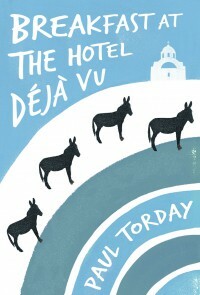 Two of Paul Torday's intriguing and beautifully written novellas in one book: BREAKFAST AT THE HOTEL DÉJÀ VU & THEO In these two suspenseful tales, he transports us from the shores of the Mediterranean to real north-East England. 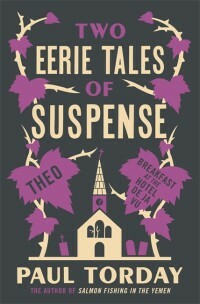 As he brings to life a host of unforgettable characters, mysterious and sinister events and unexplained happenings begin to surface. 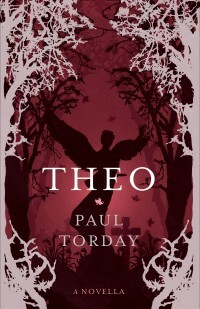 Paul Torday's final book, completed posthumously by his son Piers. Andrew Landford is driving home one night, along a dark country lane, when a barn owl flies into his windscreen. It is an accident, nothing more. However Andrew is in line to be the country's next prime minister. And he has recently been appointed to a parliamentary committee concerned with the Wildlife and Countryside Act. If Andrew acknowledges that he has killed the owl, he could be risking his political career. Should he come clean, or hide the story and hope it goes away? Stephen Fry announces the new Paul Torday Memorial Prize, at the The Society of Authors Authors Awards Party, for the best debut novelist over 60. 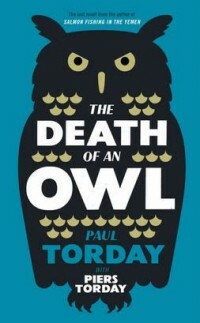 The long awaited paperback of the critically acclaimed Death of an Owl, Paul Torday's final novel, completed by his son Piers, is out today! 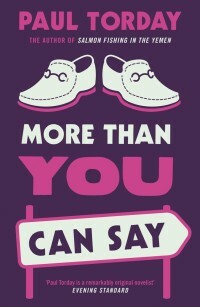 "Would Paul have approved of Piers’s ending? It would be nice to think so as The Death Of An Owl makes the journey from well-crafted and urbane political novel to spooky melodrama with elegance. A pleasure to read."